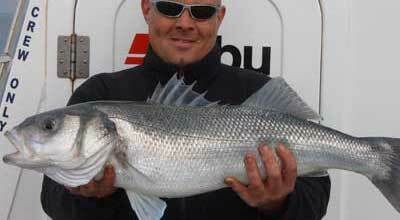 Random Harvest Charters specialises in One Day Charters for Inshore, Midchannel, Wreck or Bass Fishing. Evening Trips during the summer months are available on request. Random Harvest have catered for some great Hen and Stag Group parties. Book with us and make your day different! View photos on our gallery of previous stag and hen events we have done. You can now secure your charter by making a deposit through your paypal account, To find out more give Andy a ring on 07802 672227 or contact through the contact page. The large heated cabin seats six in comfort with the facility of a television and dvd player. The galley on Random Harvest II includes a microwave and kettle - hot drinks are included in the price of the charter. On deck there is a seperate WC with Hand Basin. Andy has a charter Boat in Kenya OCEAN LUHRS (www.gamefishingkenya.co.uk ) and he is operating from November to early March 2013. 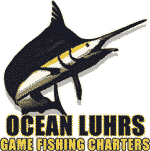 .Bookings for OCEAN LUHRS now available.Phone Andy for any booking enquiries you may have.